There are numerous providers offering web hosting services who can create WordPress sites for the end users. The important question that arises is how to select the best web hosting provider from the choice available. Another key factor that one has to understand is that an ideal host for a business may not be suitable to another i.e. no two businesses may find one web hosting provider perfect. The services may vary depending up on the type of business you intend to host. A new website may not require all the features that an established enterprise needs. What is the present visitor movement and how much increase do they expect in the near future? What is the level of scalability they require? Are they technically competent to manage the servers and the type of support they require? This is crucial as several providers do not offer fully managed services. What is the budget that the business has to start with? Once these requirements have been identified it makes it easier for a business to finalize on host for their WordPress site. One of the crucial requirements is the hardware capacity being offered in the plans. The processing power (CPU), memory (RAM), disk storage space (HDD or SSD) that are offered have to be considered. It will again depend on the type of business that one has. An ecommerce website will require the maximum capacity as it generally available round the clock and generates huge traffic on a constant basis. Other than disk space to accommodate the huge traffic, you also have to consider the speed of content delivery. A website has to upload fast for the visitor to access their requirements. The ends users do not like to waste time on slow page uploading sites. Fast page upload is an important factor as the visitor today has umpteen options. If a business has started on a lower platform they should keep a watch on their resource usage and upgrade to a higher plan to Avoid any risk of server getting slower due to shortage of resources. The best hosts provide caching to ensure higher speed. There are several WordPress plugins available to increase the speed. Another critical requirement is maximum uptime. The purpose of an online business is to be available 24/7 for their customers. Being unavailable even for few minutes can mean huge losses for a business. The web hosting providers should guarantee the website availability of up to 99.95%. The customers should opt for providers who host the servers in tier3 or tier 4 data centers that are in close vicinity. This again will depend on individual organizations. Not every business is technically skilled. There could be many businesses that are not technically skilled or have budget constraints and cannot afford to employ technically qualified staff. They may depend on the web hosting provider to be around with their technical team round the clock. An ideal host will be available over telephone, chat, ticket and email and have their own forums and tutorials for the customer to refer. The host has to ensure that the client data is safe. They should offer backup services so that immediate recovery is possible in case the original content is lost. They should provide with all tools and solutions against hacking and spamming activities. It is the most affordable form of hosting where the provider houses numerous websites on one single server. All the websites share the server resources like bandwidth, space, RAM, CPU etc. it is most suitable for startups and small businesses. Be wary of providers who claim to give unlimited resources. A server is partitioned into several smaller virtual servers and offered to websites but each of them get dedicated resources and more privacy. It is an ideal ground for developing businesses that need more than what shared hosting offers. This has only one website using the entire server and its resources and eliminates the concept of sharing the server with other businesses. It is an ideal form for businesses that need highest level of security and maximum resources to manage high traffic flow. 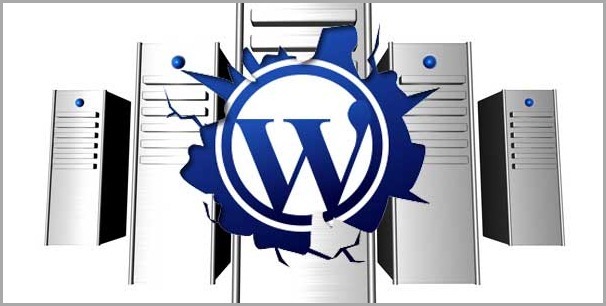 Businesses that are not technically skilled should buy the managed WordPress hosting services. This will save the business from having to employ technical staff. The host provides all the services like server management, maintenance, software updates, OS upgrades and round the clock technical support. There is also the option of cloud hosting but it does not suit a small business when they have the shared hosting platform available.